Grange Machinery’s three point link mounted implement has been designed and built to offer complete versatility to the farmer. The toolbar can be used in conjunction with any form of trailed implement or as a standalone unit. The option of hydraulically lifting/lowering the low disturbance legs in front of the trailed implement without affecting trailed setup adds versatility to current machines on the farm without adding the expense of a brand new drill / cultivator that is limited to one process. This implement has a unique headland turning system. The wings automatically fold using a single hydraulic service (the same as the lift and lower of legs) to a 90 degree position which converts the 6m machine to 3m centre section for headland turning. This simple system is activated on one hydraulic spool and allows the operator to concentrate on the turn knowing that the Grange 6m wigs have folded out of the way, eliminating collision with the 6m trailed implement also allowing the headlands to remain the same size. It has been designed to have two machines built into one. 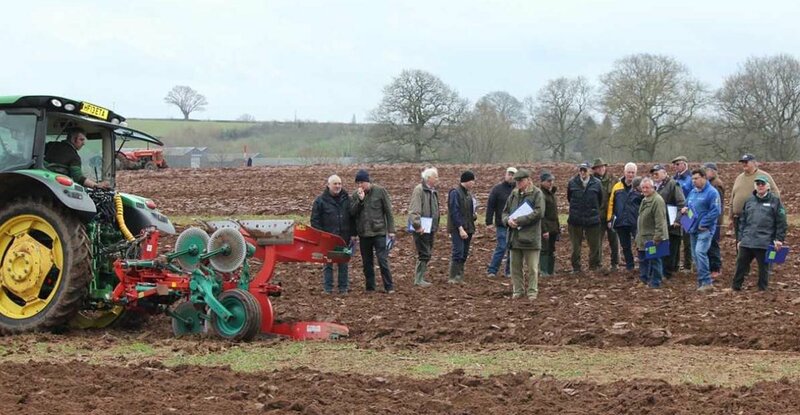 When the operator has finished using the machine at full width, the wings can be either folded or removed and converts the machine to be used as a wheel track eradicator for removing tractor compaction when drilling or cultivating later on in the season. The toolbar has so far been very popular in the establishment of OSR, Beans, Maize and Sugar Beet as a one-pass system. Most users remove the wings to utilise the machine as a track eradicator for drilling later in the autumn. The machine will be offered with a seeder system in 2018 allowing the toolbar to become a one-pass machine for establishing OSR, cover crops and most forms of Strip Till approach.